Grey abaya for kid with shirt sleeves. This butterfly abaya for small girls is ornate by a pink sequined braid serving it as waistband. 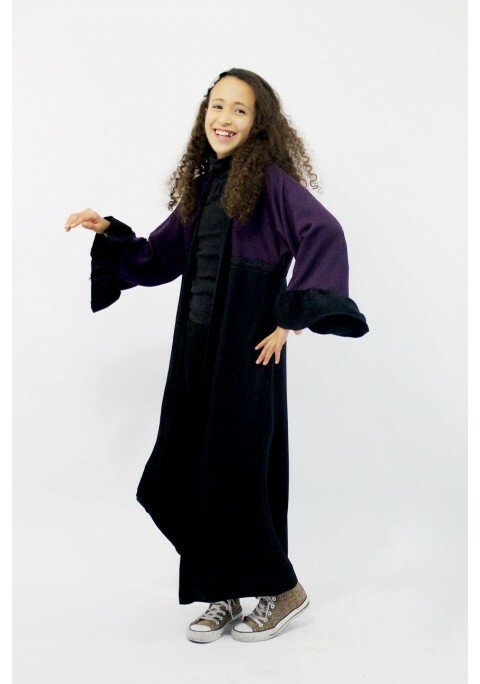 This abaya for girl tightens on the inside to waist. Its shawl is assorted to this nice abaya at soft color.